Gamers, beware: the spread of attacks by orcs isn’t just something for World of Warcraft anymore. “Orcs Must Die! dares players to find the best ways to hack, launch, flatten, gibletize, and incinerate an endless army of filthy orcs and their vile allies. Don’t negotiate with them. Don’t just maim them. 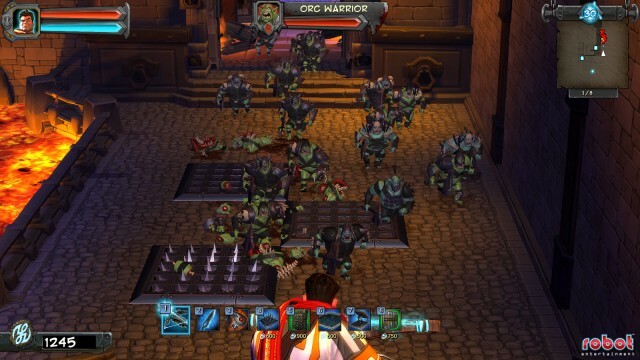 You must kill the orcs,” as described (actually, make that insisted) by Robot Entertainment CEO Patrick Hudson. Of course, if you can’t wait until summertime to check the game out and have the travel expenses to do so, a playable demo for the upcoming game will be on display at PAX East.